Across the Line is an immersive virtual reality experience that combines 360°video and computer generated imaging (CGI) to put viewers in the shoes of a patient entering a health center for a safe and legal abortion. Using real audio gathered at protests, scripted scenes, and documentary footage, the film is a powerful hybrid documentary-fiction depiction of the gauntlet that many abortion providers, health center staff, and patients must walk on a typical day in America. The experience consists of three scenes. We begin inside the health center, finding ourselves in an exam room with a young woman and a compassionate doctor. The scene fades as we travel back in time to follow the patient and her friend as they drive up to a health center lined with protesters holding graphic signs and shouting. The final scene uses computer-generated graphics. The viewer becomes the patient and must navigate a group of intimidating protesters shouting highly offensive remarks aimed at shaming and stigmatizing the patient. The audio montage, captured from protesters across the country, anchors the viewers experience in the reality of what thousands of people across the country face during anti-abortion protests outside of health centers. Across the Line comes during a critical moment of attacks on women’s reproductive health and rights. In the past five years, states have enacted 282 abortion restrictions, and Congress has voted 18 times in 2015 to restrict women’s access to reproductive health care. More than half of American women of reproductive age now live in states where access to abortion is being restricted by their state legislatures. This is despite the fact that one in three women in this country decide to end a pregnancy. By confronting the stigma around that decision and documenting tactics of anti-abortion activists, this experience amplifies the conversation around safe and legal abortion. Nonny de la Peña has been called “The Godmother of Virtual Reality” by Engadget and The Guardian, while Fast Company named her “One of the People Who Made the World More Creative” for her pioneering work in immersive journalism. As CEO of Emblematic Group, she uses cutting edge technologies to tell important stories—both fictional and news-based—that create intense, empathic engagement on the part of viewers. A graduate of Harvard University and a former correspondent for Newsweek, de la Peña has more than 20 years of award-winning experience in print, film and TV. Her virtual reality work has been featured by the BBC, Mashable, Vice, Wired and many others. Showcases around the globe include the Sundance and Tribeca Film Festivals, The World Economic Forum in Davos, The Victoria and Albert Museum, Moscow Museum of Modern Art, and Games For Change. Brad founded 371 Productions in 2003 when he moved from New York City to Milwaukee, Wisconsin. 371 makes film, radio and technology projects that contribute to the common good. From the emmy-nominated feature doc As Goes Janesville, to the Dupont award-winning film Ghosts of Attica, dubbed “a political thriller” by the New York Times, to the Independent Lens documentary about aging, Almost Home, Brad is known for intimate, engaging documentary storytelling. 371’s radio series on gun violence, Precious Lives, was recently selected as one of 15 “Localore” public radio projects be further developed through an innovation lab led by AIR. His corporate accountability app, BizVizz (iPhone) is used by over 32,000 people. . Before 371, Brad worked with Bill Moyers and Lumiere Productions. He also founded doc|UWM, a documentary center at the University of Wisconsin-Milwaukee. His work is routinely supported by partners ranging from PBS and other networks to the Ford and John D. and Catherine T. MacArthur Foundations. With Jeff Fitzsimmons, he recently founded Custom Reality Services, a brand new virtual reality company.  Jeff Fitzsimmons is an author, artist, technologist, entrepreneur and co-founder of the VR company Custom Reality Services. His work life has gone from pioneering video maker in Seattle's grunge scene to founder of HarQen, a next-generation voice technology company. He’s created Sony’s massive Playstation tradeshow booth and been chief creative officer for Caffeine Communications—a guerilla marketing firm. Besides Across the Line, Jeff has made Third Wheel, a VR comedy.